Do you feel like you are a bit of a rebel when it comes to decorating your home and generally write your own rule book when it comes to a blend of varying styles? 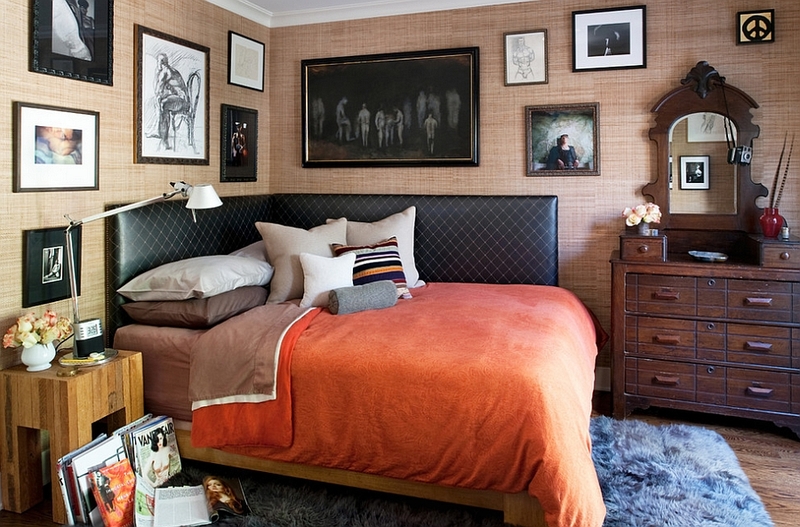 Then an eclectic style bedroom is perfect for you! One of the joys of adopting an eclectic style is the way in which you can add different layers to the room over years and even decades. It need not be one quick makeover, and there is always space for that amazing new piece that you found during the recent flea market trip. 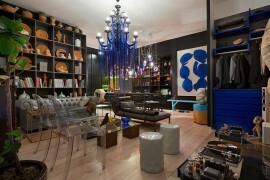 In essence, eclectic style is all about expressing yourself in an uninhibited yet carefully curated fashion. As we alluded to earlier, the essence of eclectic style is the underlying order to that seemingly random blend of styles. 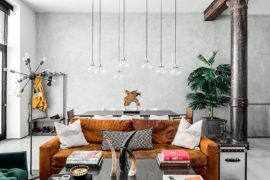 Every piece in the room has its own purpose, and when you are mixing decor pieces with radically different styles, it is best to create a transition from one to the next. 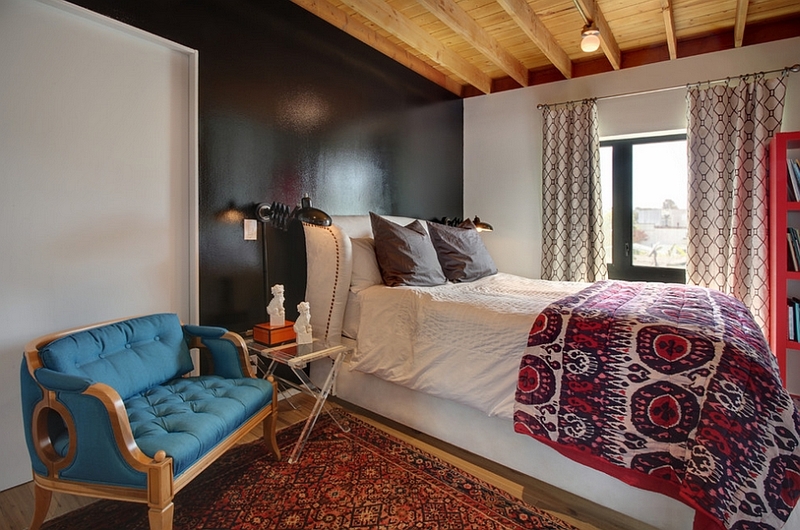 For instance, a beautiful rug with a chic print can be used to create a connection between a rustic bed frame and a bedside table that is more contemporary. Decor with matching silhouettes or groups of accessories that are placed together give greater visual order to the room. 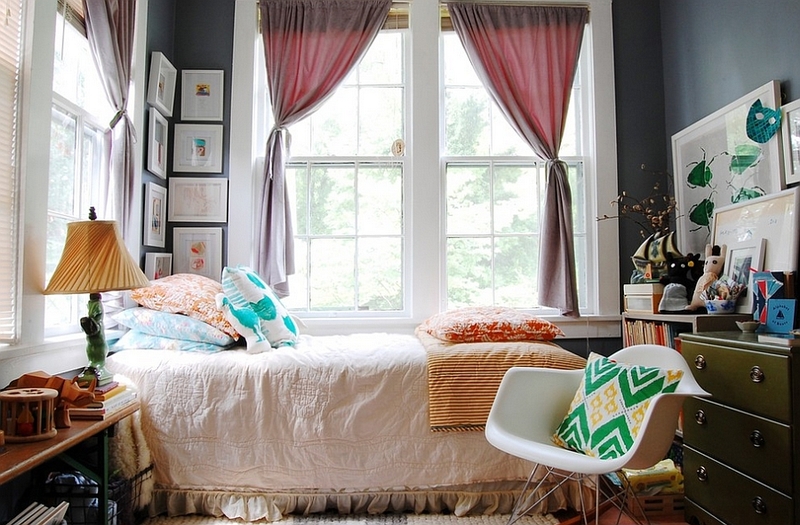 Nothing unites the various elements of an eclectic bedroom like a common color palette. One of the great things about having a consistent color scheme is the ease with which one style transitions into the next in an eclectic setting. 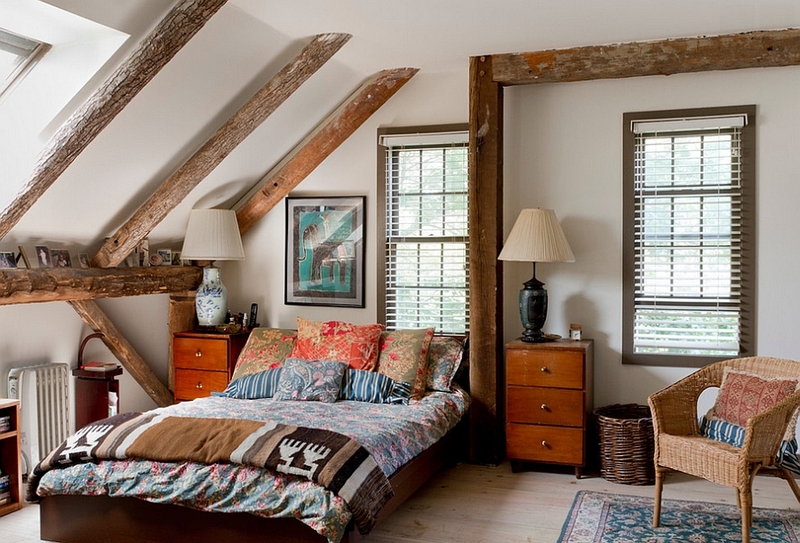 Since we are talking about bedrooms, use the sheets on the bed, quilt and pillows to accentuate this look. 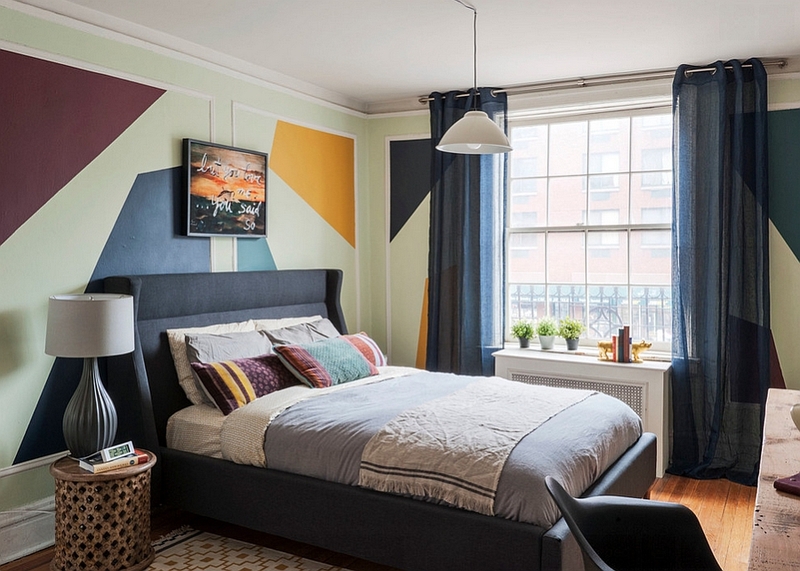 It is best to stick to just three or four major colors, as too many colors can turn the bedroom into a restless space. But if you want to incorporate a wider range of colors, then do so in moderation. 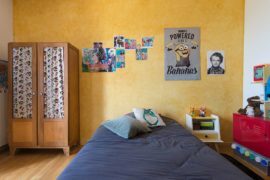 Speaking of color, one of the ways to give the eclectic bedroom a more organized and appealing vibe is by repeating the colors that you use in more than just one place. Even if you are exploring everything ranging from daring reds to gentle pastels, make sure that you use each color more than once. 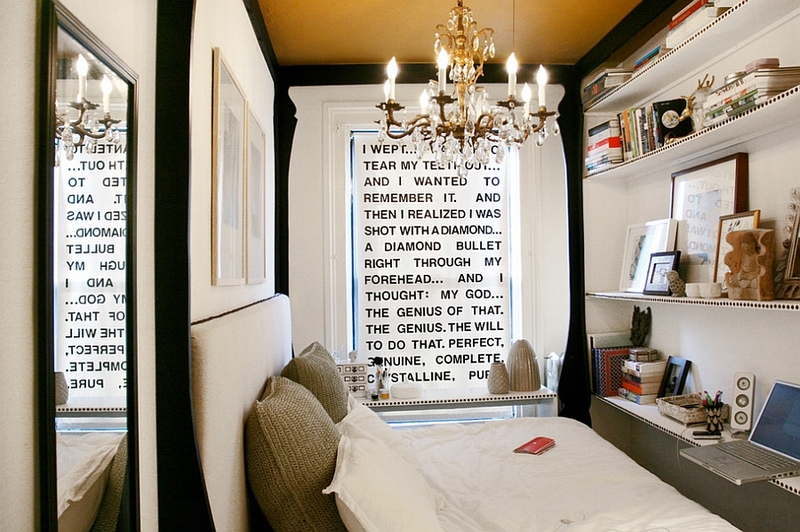 This is an easy way to lend visual symmetry to the room. Not to mention, using repetitive shapes and patterns in the room gives the space a more refined appeal. 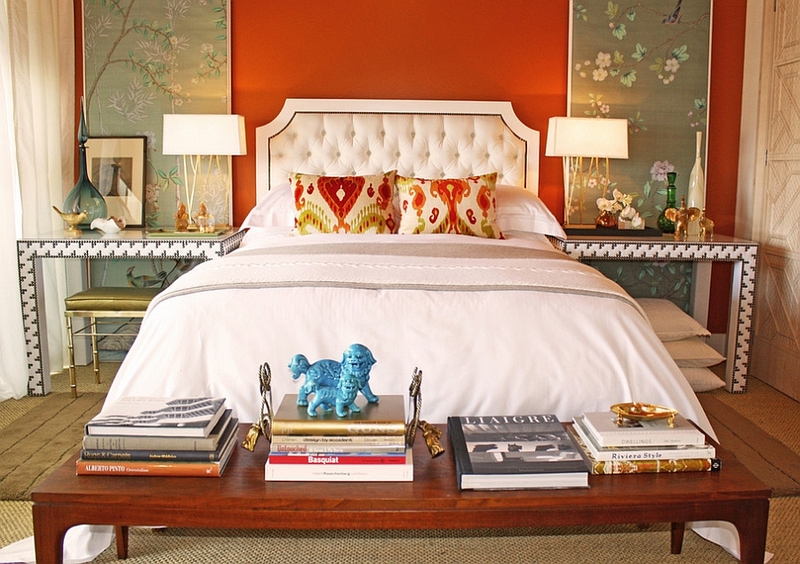 If you have a bedside table in a bright color or flowery wallpaper, using bedding in a similar color and pattern easily makes the bedroom far more pleasant. 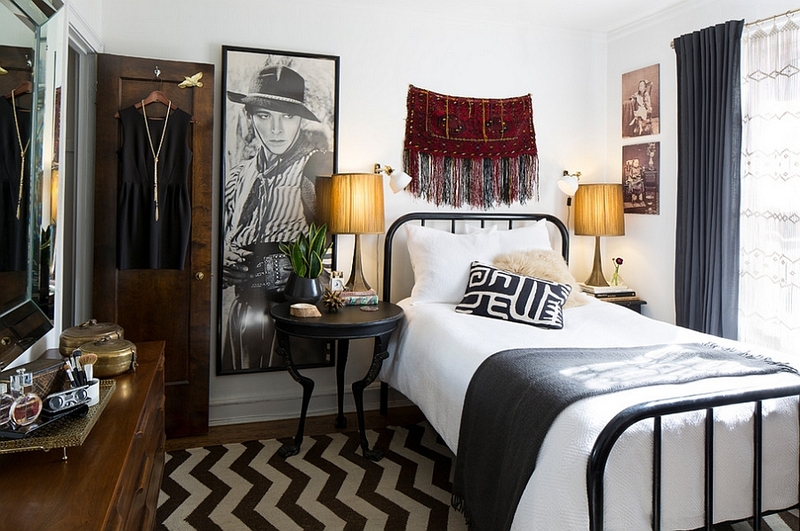 An eclectic bedroom gone wrong can easily look like a scene from a garage sale or the weekend flea market! 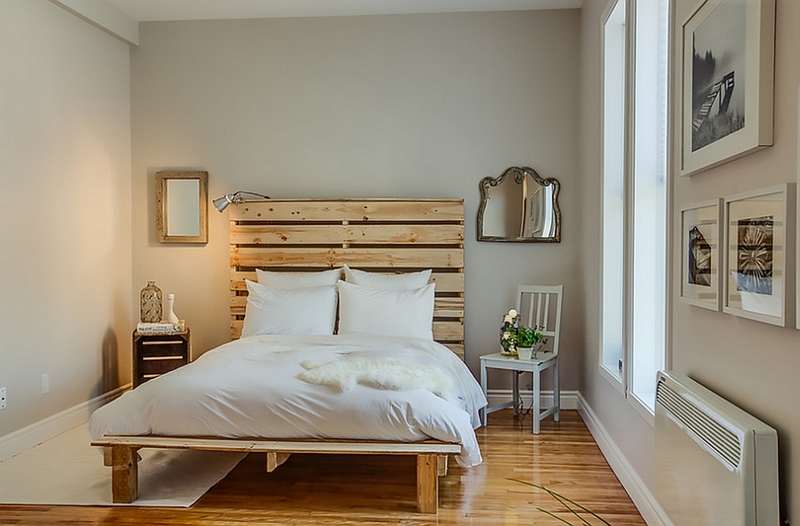 While adding vintage pieces is one of the hottest design trends currently, it does not mean you flood the room with furnishings made only of wood. 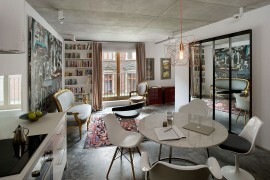 In fact, that is counterproductive and actually takes away from the eclectic look. 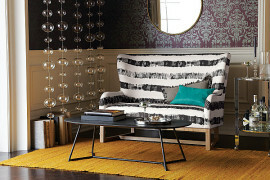 Much like the blend of styles, an eclectic approach to design also demands a wonderful amalgamation of textures. A cozy white rug, a rough, vintage bedside table, a contemporary bed and a midcentury modern lamp can be combined to create a truly exceptional bedroom. 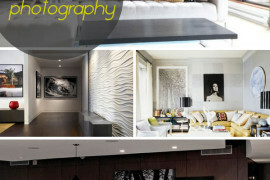 Take a layered approach to textures as well! 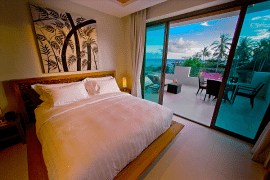 While it is not compulsory to have a backdrop in a neutral color for a ravishing eclectic bedroom, it often helps you in creating a far more beautiful space. This is particularly true if you love colorful decor and are planning to fill up the room with a variety of hues and shades. A more neutral backdrop lets this lovely array of colors stand out even more prominently and brings the best out of your most cherished furnishings. While smaller rooms benefit from white and light gray, warm yellow shades work well in larger bedrooms. A popular misconception is that eclectic style allows you to fill your home with pretty much anything and everything under the sun. In fact, the truth is exactly the opposite of that. 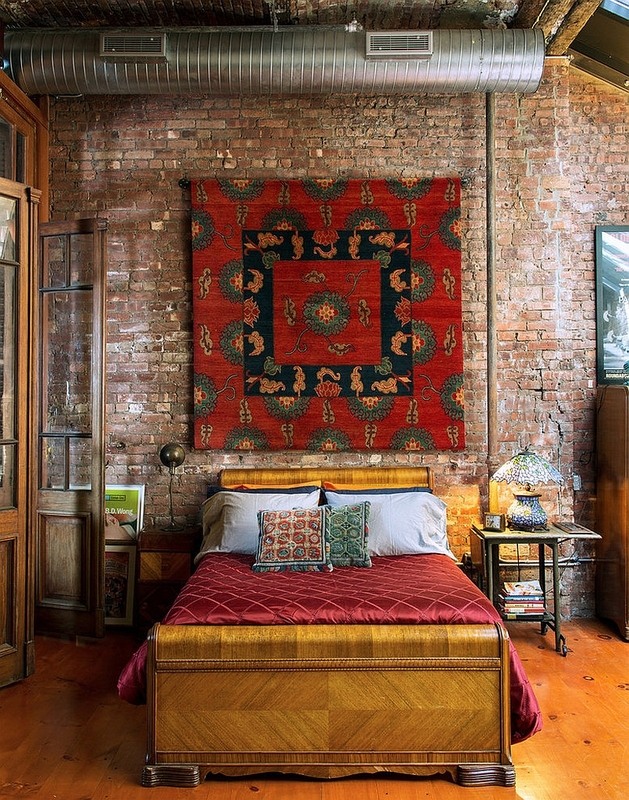 The curated mismatch of eclectic style demands you to be a lot more careful when picking the right decor. Buy only stuff that you absolutely love and be ruthless when it comes to doing away with the unnecessary. Remember that cohesion between different pieces is far harder to achieve when you start filling up the room with clutter. Even with a style that incorporates so many amazingly different and variant furnishings, your bedroom still needs a single focal point. Make sure that this focal point brings an element of surprise and excitement and will serve you for years to come! It will set the ‘theme’ of the room. So let it shine through by using the right accent lighting or by creating a backdrop that is as unassuming as possible. 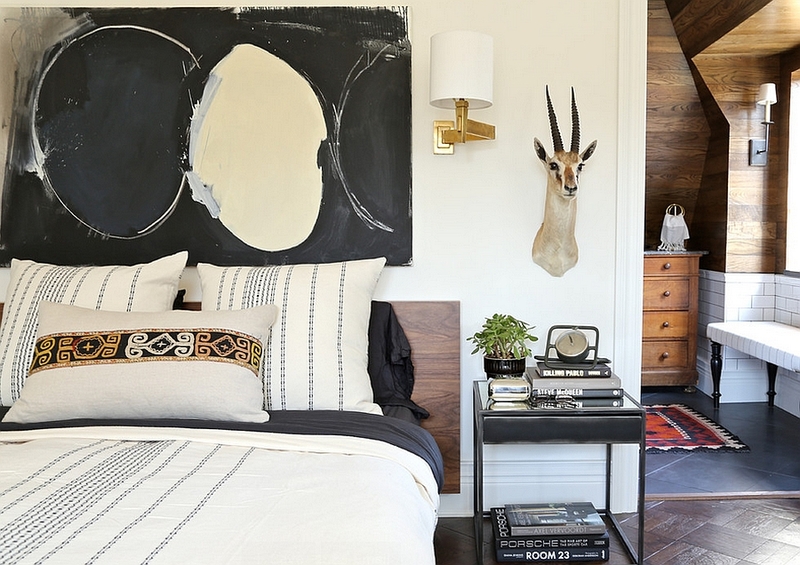 So, is your bedroom style eclectic?